As a big reader, I have times where I just can't concentrate on my reading or writing; and things have to just be left alone. Unfortunately, I've been having one of those times. I hate it, and it causes me not to be able to do the reviews I love to write, but it does happen (and you've all probably noticed it this month that there's not that many reviews showing up as well). But, about a week ago, two books showed up in the mail and I began reading one of them and haven't stopped... now I'm halfway through it! I'm so proud that I've stopped getting bored with a book once I've begun it within a few chapters; however it does happen to the best of us doesn't it? And it's been a few years since I've had a dry spell from reading so many books. So, this got me wondering how many of you guys have had this little - yet problematic - thing happen to you and how long has it kept you from reading your favourite books. Has it lasted a few weeks or a few months? And did you ever figure out what caused it? I never know the problems or worries that stop me from reading for extended periods of time; it just occurs suddenly; but it does bother me. Fortunately, it's not going to happen anymore. two books were from a thrift store; however I kept only one of them to read. The other was falling apart and it's currently being used in an art project. 'Paperweight' by Stephen Fry is one that didn't immediately catch my eye with the photo on the cover. After all it's of a bulldog (not the most attractive breed of dog); but it's the man himself who makes me laugh. So, I picked that one up from the shelves. Then, I found a hard cover Tom Clancy book where the pages were coming out of it. This was hard to find, simply because I didn't want to destroy a perfectly good book for art's sack. I wanted a book that was already on the way to the rubbish bin... and this Tom Clancy was already there. So, I bought these two for about a dollar. The third book was purchased at 'Archive's on Charlotte Street in Brisbane City for around $7.00 or so. I'm beginning to get good at the piano. But I really needed something that worked my left hand more than my right hand; and blues and boogie does just that. So, I found a beginners guide to blues and boogie. It's hard, but I'm enjoying the challenge. The best thing is that I can already read music; so I'm halfway there with this. So, what have you bought this month that you just couldn't live without? Let us know. Or if you were good like me, let us into what you're planning on reading next. A Bookring To Honor Douglas Adams. From the first time I read 'Hitchhiker's Guide to the Galaxy: Trilogy In Four Parts', Douglas Adams had me giggling at how his funny mind worked. What a wonderful book he had written; and what a pity he was taken from us so soon! I was devastated when I heard of that great writer's unexpected passing in 2001 by a sudden heart attack in California. However, recently, some friends on Bookcrossing got together and thought to honor him through Towel Day which celebrates Douglas Adams' works. And my friends on bookcrossing thought to send out two 'Dirk Gently' books around the world for us all to read and enjoy. The first is 'Dirk Gently's Holistic Detective Agency' and the next one is 'The Long Dark Tea-Time of the Soul'. I've begun reading the first one and - even though the chapters are short - I'm enjoying the humour and wit that Adams has made himself famous for. 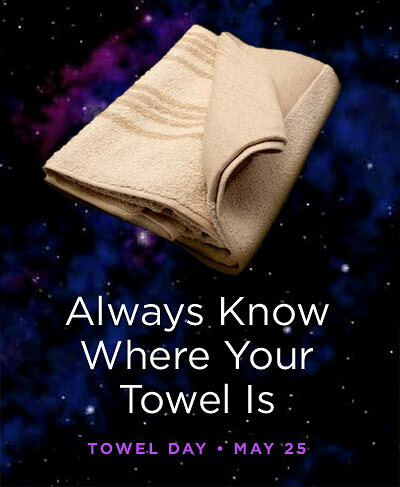 Towel Day is celebrated on 25th May where we can all carry around our towels and be proud to know where it is, what to do with it and how it can help us... but never forget it. So, remember this day and carry your towel with you - and something that this great writer has written and delve into his works too; as he changed our written worlds forever by making us not forget our towels for more than one reason. Currently Got My Nose Into! It's been a while between reviews - I know. But worry not, I've been reading a lot of pages in between the few reviews I've done. So, here is what I've been delving into over the last few days and weeks. 'Parrot and Olivier in America' by Peter Carey is one that has had me mesmerised from page one. I've been reading snippets of it here and there and jumping into it before bed and snoozing off too soon! It's so cleanly written with such lovely and wonderful words that I know when it's finished I'll be wanting more from this author. And seeing I've got 'Oscar and Lucinda' waiting on my shelves to be read, I'll be opening those pages soon too. The other book I've gotten my nose into is 'Love Is a Mixed Tape' by Rob Sheffield. It's a wonderfully light read about music and how the mixed tapes of our lives have shaped who we are from our teen years to adulthood. Each chapter starts with a list of songs from each time of his life and he talks about how each song changed a significant part of his life. I've gotten a fair way into it; and am looking forward to jumping back into it soon, as I've gotten into the above book at the moment. So, there you have it. What I'm reading right now. 'The World According to Garp' was interesting for a little while, however, I found one of the main characters reminded me of somebody in my family and they were very closed off for me. So, I put the book down. I'm afraid to say, but John Irving isn't my kind of author. Well, at least I gave the book a good try. What are you all reading right now? And what do you think of it? Are you enjoying it, or does it drag on? I thought to let you all know what I've been doing with the culled library books that came my way last month. Well, I spent two hours one night cleaning them, sorting them and picking out the good ones from the bad. Then, I threw out the ones that weren't going to make it in the hands of any new owners and organised the boxes of books that I wanted to take to a charity of my choice. This charity was The Endeavour Foundation. It helps people with disabilities by selling items, clothes and furniture that people have donated. 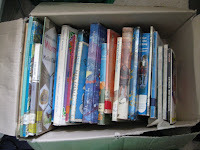 I often give my unwanted things to them... and in this case, they were entire series of learn to read books, non-fiction books and other kinds of texts that would be useful to children who may have reading difficulties. With the books that I found were in good condition, I have registered some on Bookcrossing and have made a year-long giveaway of it. 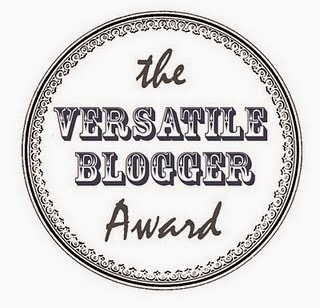 There has been plenty of interest from all over the world from India to Finland to the United States and Canada; as well as around my own home country of Australia. 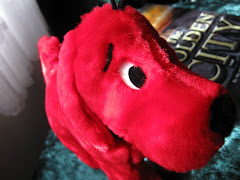 I've even sent some of the books to my darling ten-year-old niece who loves horses and fantasy novels; and she was thrilled to have received a parcel in the mail (something she never gets normally). However, I know that I'll probably be still left with some books; even when this whole giveaway is finished. But I don't mind. 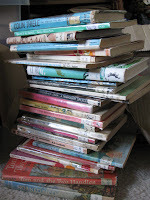 I'll be using the generosity of Bookcrossing to hand out those remaining books to other BCers through parcels and gifts and other ways too; such as wild releasing. One afternoon in Spring 2009, a massive dome lowers over the small town of Chester's Mill, Maine. While one guy, Barbie, runs into it while he walks out of town, a plane slams into it as it takes its passengers on a flying lesson; killing them both. Around Chester's Mill, other people are effected. One gardener has her hand chopped off and two elderly ladies who were on their way back to the small town are both kill when their car slams into the invisible barrier of the dome. Over the next couple of days, the residents of Chester's Mill find out who is their friend and who is their enemy. But by Halloween, something is going to happen.... something really bad. The one thing Barbie knows is that he has to get rid of the dome before Halloween; there are a few problems standing in his way. Right now, he's been framed and is in prison, most of the town's teenagers are amateur police officers and the richest man in town is holding the whole town to ransom. With only a few people who know Barbie's innocent, he needs all the help he can get! I bought this tome of a book for myself for Christmas. At this time of year, I usually buy myself a few gifts that I know my family won't get me; and seeing I live on my own, it's usually the only the time of year I go all out and spoil myself. However, this book wasn't anything I was pleased with. I have been struggling with it for almost 3 months and should have finished it weeks ago. However it was how it's been written that bugs me. Anyone who has read 'The Stand' will see great similarities between this book and that one; but if you have gone to the trouble to read the unabridged edition of 'The Stand', you'll understand even more where I'm going when I say this book got to a point where I dreaded opening it when my afternoon reading time came around. King is a great story-teller and he is wonderful with detailed information. However, he put every single person in this book under the microscope; and it drove me to distraction. What was more frustrating was that if I skipped over any paragraph or pages, I missed something in the next chapter. This book forced me to read every little bit and detail; and I really don't like that when a writer expects that much from their readers in a book of this size. I do love reading his older works; however I've found it harder to get into his newer stuff, but I do keep trying to read each new book as it comes out.